The word ‘great’ gets thrown around a lot these days – but it arguably doesn’t do justice to Peter Thomson. Five-time Open winner Thomson, who sadly passed away on June 20th aged 88 following a long-term battle with Parkinson’s disease, was more than just a truly great golfing champion. He was a president of the Australian PGA for 32 years, a renowned golf course designer, an accomplished writer and an authority on numerous aspects of the sport he loved. We look back at Thomson’s extraordinary life. Born in Melbourne in 1929, Thomson’s first forays into golf came when he used to sneak on to a nine-hole course called Royal Park. Noticing his skills, the members gave him playing rights, and by the age of 15 he was the club champion. 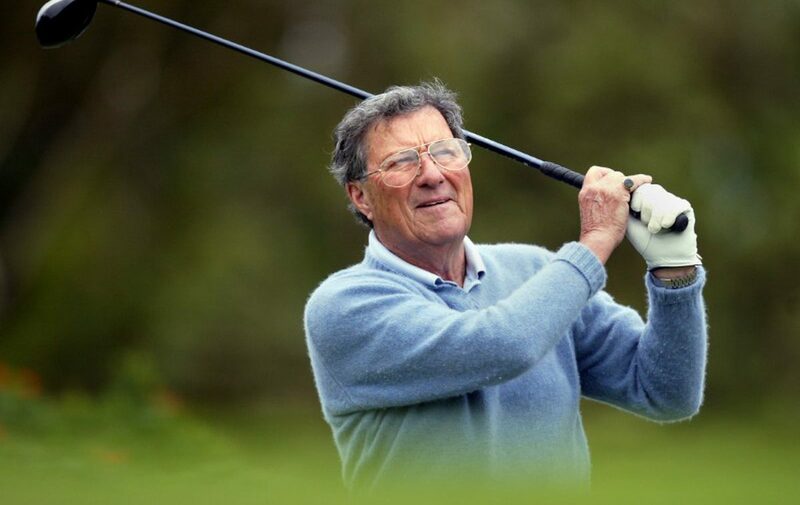 Although he won 81 professional tournaments between 1947 and 1988, it was Peter Thomson’s stunning record in The Open Championship that secured his place in golfing history. From 1951 to 1973, he made 23 straight cuts in the tournament. During this period, he posted 18 top-10 finishes and recorded five victories. Along with Young Tom Morris, he is the only player to win the championship three times consecutively. Thomson’s first Open triumph came in 1954 at Royal Birkdale, following second place finishes in the previous two championships. In the process, Thomson became the first Australian player to win The Open. He won again at St Andrews in 1955, Hoylake in 1956 and Royal Lytham in 1958. But his greatest triumph in the event came in 1965. Back at Royal Birkdale, the site of his first Open victory, the experienced Thomson mastered the conditions to see off a field that included Jack Nicklaus, Arnold Palmer and Tony Lema. Thomson joined James Braid and J.H. Taylor (now also Tom Watson) as a five-time Open champion. Only Harry Vardon, with six, has won more. Among other accolades, Thomson was made a Commander of the Order of the British Empire (CBE) in 1979 and an Officer of the Order of Australia (AO) in 2001. Thomson is also the only victorious International captain in the Presidents Cup to date. He led a strong team to a comprehensive victory on his home turf at Royal Melbourne in 1998. Aside from his role as long-time president of the Australian PGA, he was instrumental in the establishment of the Asian Tour and even ran for political office in Victoria in 1982. He was also a skilled writer, often producing dispatches and columns for the Melbourne Herald. As a golf course designer Thomson, together with Michael Wolveridge and then Ross Perrett and Tim Lobb, was responsible for the creation of many superb golfing layouts, particularly in Australia and Asia. Often Thomson’s designs reflected his love for the links. As further evidence of his appreciation of Britain’s historic golf courses, Thomson was a founder member of the James Braid Society – an association that celebrates the golf courses created by the great Scottish professional and course architect. Thomson married Mary Kelly in 1960. She survives him, along with his four children, 11 grandchildren and four great-grandchildren.